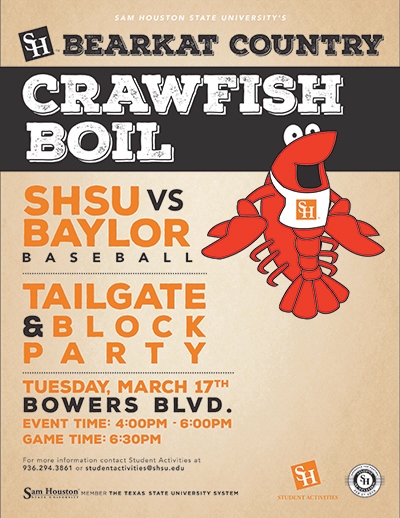 The departments of Student Activities, Athletics, Greek Life, and Alumni Relations will welcome students back from spring break with a “Bearkat Country Crawfish Boil” tailgate and block party before the SHSU baseball team faces off against Baylor University on Tuesday (March 17). The block party will kick off at 4 p.m., and the cost of the crawfish will be covered by the Department of Student Activities for the first 400 students who show up with their active Bearkat OneCard; alumni, friends, faculty and staff can purchase crawfish for $10. The game will begin at 6:30 p.m. In addition to the crawfish boil, SHSU student organizations and departments will be tailgating, and Houston-based zydeco band The String Benders will perform. A variety of promotional SHSU items will be distributed as well. For more information, contact Student Activities at 936.294.3861. Texas Ranger Steven Jeter will discuss his experiences with the unit and provide tips on law enforcement careers with the state agency on Tuesday (March 17) from 2-3 p.m. as part of the College of Criminal Justice’s Real Talk w/CJ series, in the Criminal Justice Center’s Hazel B. Kerper Courtroom. Jeter, who graduated from SHSU with both his bachelor’s and master’s degrees in kinesiology, served as a highway patrol officer for 10 years. 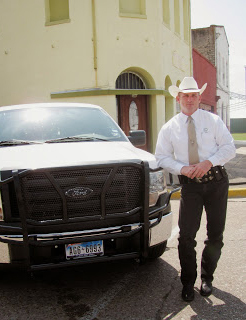 He was appointed as a Texas Ranger in 2007, with which he oversees protection of the border and citizens. He serves as coordinator of the crisis negotiation team, which accompanies troopers and other law enforcement agencies executing high-risk search or arrest warrants. In recent years, Jeter has been involved in several high profile cases across the state, including the shootings at Fort Hood; the murder of a Klein Forest student whose body was found in the Sam Houston National Forest; and the 2012 murder of a Huntsville teen. Admission to the program is free. 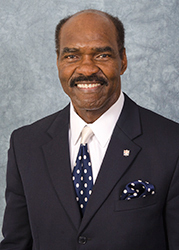 Former National Football League linebacker Gerald Irons will veer toward Sam Houston State University, where he will discuss his life, career and his focus on education for the spring President’s Speaker Series presentation on Wednesday (March 18). The conversation with SHSU President Dana G. Hoyt and head football coach K.C. Keeler will begin at 11 a.m. in the Gaertner Performing Arts Center Payne Concert Hall. Iron’s six-year career with the Oakland Raiders and four years with the Cleveland Browns heralded a plethora of awards and recognitions, including several Golden Helmet Awards. He graduated with a Bachelor of Science degree in business administration from the University of Maryland—Eastern Shore and worked during every off season with the Raiders attending The University of Chicago’s graduate school of business to earn his Master of Business Administration degree. After being traded to the Browns, he attended law school at the John Marshall Law School at night, after practicing football during the day. One of the Osaka, Japan, Junior Chamber of Commerce’s “Ten Outstanding People In The World,” Irons—who speaks Japanese—spent a month in Japan representing the U.S.A at the “Ten Outstanding Young Persons Conference.” While in Japan, he was presented with a “Gold Key” to the City of Osaka by its mayor. The President’s Speaker Series was established to bring prominent leaders to campus, who have the potential to significantly impact SHSU students, many of whom are the first in their families to attend college. For more information about the presentation, contact the President's Office at 936.294.3415. Sam Houston State University will host its eighth annual “Let’s Talk!” scholarship benefit event on Thursday (March 19), beginning at 6:30 p.m. in the Lowman Student Center Ballroom. The event allows guests the opportunity to have dinner and drinks with renowned industry leaders, hear their stories and share ideas with them. Since the event launched in 2008, Let’s Talk has since generated more than $450,000 to fund scholarships and programs for the Elliott T. Bowers Honors College. It aims to provide a unique opportunity to hear entertaining and inspiring stories from industry experts, according to event coordinator Jacel Angel, director of special programs in SHSU’s Office of University Advancement. “Let’s Talk allows guests to be active participants in discussing a predetermined topic for their table, facilitated by a notable conversation leader, while enjoying an elegant multi-course dinner and fine wine. This year’s topics will range from healthcare, education, crime, and entertainment to pop culture, politics and innovation,” said Angel. A list of confirmed speakers and topics is still available online at shsu.edu/letstalk. Tickets for the event are $125, a portion of which is tax deductible. Reservations can be made online at shsu.edu/letstalk or by calling 936.294.4061. Sponsorships are also available. Josu De Solaun, assistant professor of piano in the SHSU School of Music, will pay tribute to composers of his native country in a faculty piano recital on Tuesday (March 17) in the Gaertner Performing Arts Center Recital Hall. The recital, beginning at 7:30 p.m., will feature works by Spanish composers, as well as a rare piece by Romanian composer George Enescu. De Solaun began playing piano at a young age and has performed in countries across the world, including France, Georgia, Italy, Russia, Ukraine, Canada, Germany, Japan, China, Bulgaria, the Czech Republic, Poland, the Netherlands, Mexico, Chile, and Switzerland as a recitalist, chamber musician, and concerto soloist. Admission to the recital is free and open to the public. The SHSU Student Satellite Gallery will host work created by 11 art students at the “Huntsville Narratives” exhibit, on display from March 19-21. An opening reception will be held Thursday (March 19) from 6-7:30 p.m.
Student artists Colton Clifford, Gabriela Cruz, Ashley Fearrington, Kyndall Hadley, Victoria Monsalvo, Allyssia-Lyn Montalbo, Juanita Rodriguez, Stephanie Rodriguez, Alexis Turner, Yolissma Vance, and Ashley West will showcase work created during their “Photographic Narratives” course. The photos featured in the exhibit focus on various aspects of life in Huntsville. Some students show a romanticized fictional perception of their environment, while others focus on the historical side, taking a more documentary approach to telling the story of Huntsville. For more information on the exhibit, contact the art department at 936.294.1322. Students in SHSU’s mass communication department will begin producing “City Spotlight,” an informative program featuring interviews with notable community members, throughout the months of March and April. SHSU President Dana Hoyt will be interviewed in the next installment of the series, airing Wednesday (March 18) at 4 p.m. on Channel 7. She will discuss current events on the SHSU campus and the plans for the future. Priority One Public Relations, SHSU’s student-run public relations firm, helps produce the show with advanced broadcast production students. Peter Roussel, the Warner Endowed Chair of Journalism within the department of mass communication, hosts the program, bringing his wealth of experience to the studio. Clinical associate professor of mass communication Mel Strait supervises filming and editing. “City Spotlight” will also feature pre-recorded video packages of community events. In past semesters, the show has featured Huntsville Mayor Mac Woodward, Walker County Judge Danny Pierce and SHSU men’s basketball coach Jason Hooten. For more information, contact Priority One member Colin Harris at 281.748.9029. 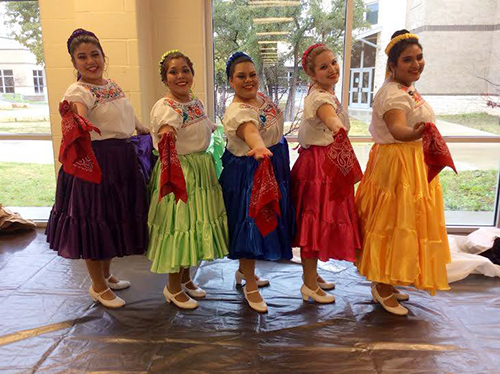 Sam Houston State University’s Ballet Folklorico organization traveled to Round Rock this month to compete in the 12th annual Bailes de Mi Tierra competition, where they placed first in four entries and second in one entry. Thirty-one groups across Texas submitted 409 competition entries and competed against schools at elementary, middle and high school, and collegiate levels. SHSU’s Ballet Folklorico received first place awards in solo, duet, and small group performances and took home first and second place prizes in the ensemble performance, competing against groups from institutions including El Paso Community College and the University of Texas at Austin. Ballet Folklorico is a Mexican folkloric ballet that originated in Mexico City in the 1950s. SHSU’s Ballet Folklorico organization promotes Mexican culture locally by learning and performing folklorico dances on campus and in the community. Twenty-two students participated in the competition, including Nataly Avila, Edgar Banegas, Katy Barber, Elisa Carbajal, Leticia Castillo, Natali Cruz, Jessica Estrada, Juan Garcia, Natalie Guevara, Aristeo Isaias, Janie Lopez, Nayeli Lopez, Jessica Martinez, Cecilia Ontiveros, Guillermo Ramos, Mayra Rodriguez, Lea Sonby, Nictel Sosa, Maria Valtierra, Angelica Vela, and Nereyda Vera. The League of United Latin American Citizens of Huntsville awarded Mary Petrón, associate professor of bilingual English as a second language in the language, literacy and special populations department at Sam Houston State University, the Citizen of the Year award at its 10th annual scholarship banquet last month. The ceremony, held at the Katy & E. Don Walker Sr. Education Center, honored Petron for the work, time and dedication she devotes to helping the Huntsville community. 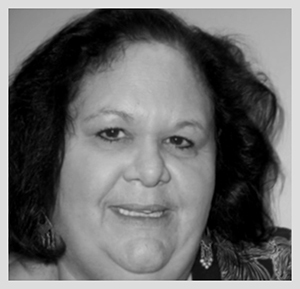 Petrón has served as the secretary of Walker County Unidos, a non-profit organization dedicated to promoting the unity, education and economic well-being of the Latino community of Walker County since 2011, and has written a number of grant proposals requesting funds from the Huntsville Arts Commission. She also serves as the secretary of the Huntsville Youth Soccer Association and is a proud soccer mom. Submission criteria and guidelines, including deadlines, have now been placed online, atshsu.edu/~pin_www/guidelines.html. This information is also accessible through the “Submissions” link in the right-hand navigation on Today@Sam. For more information, contact the Communications Office at 936.294.1836 ortoday@sam.edu.